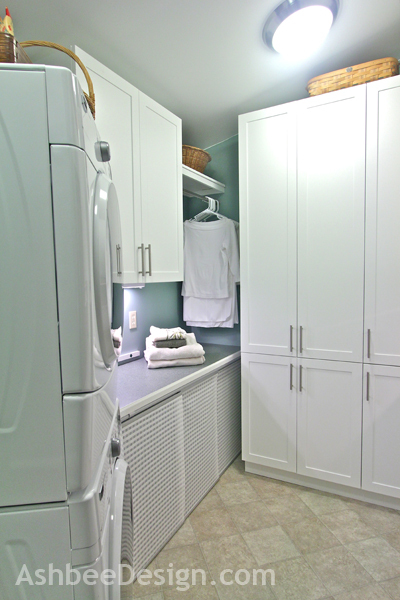 Third in the series on the Laundry Room Reveal. Click here for the first post. The space under my counter for folding clothes was a challenge. The problem started because this counter is only 33" off the floor - not the normal 36" and it is only 20" deep. Cabinets weren't an option unless I had them custom made. 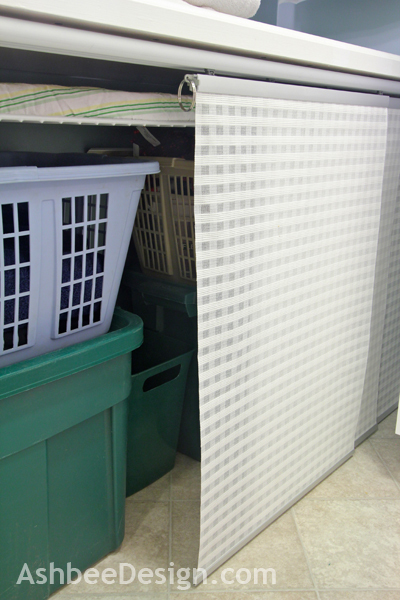 But I already had lots of cabinets and what I needed was a place for laundry baskets and storage bins. One of the advantages of finishing your laundry room 33 years after moving into the house is that you know exactly how you want it to work. I knew I needed a different type of storage space here. The solution was to install an IKEA hack with modified sliding Kvartal panels to hide this area but still have easy access. You can see the panels below the counter in this photo. They are a white weave fabric that is stiff. What I love about the Kvartal system is its engineering. The pieces are all beautifully shaped and work extremely well as a sliding panel system. I used three panels that slide on a triple rail back into the corner to provide easy access to the large items behind. Additionally these panels snap off if I ever need total access to this space. They match the sliding door panels we installed in front of the utility corner to hide all the pipes and mechanical elements. The major difference is that those were surface mounted in front of the opening using the standard IKEA brackets. We needed to modify the standard wall bracket to allow us to surface mount the IKEA Kvartal rail directly to the underside of the cabinet without using the ceiling bracket above. This is what the IKEA Kvartal wall bracket looks like in its original form. 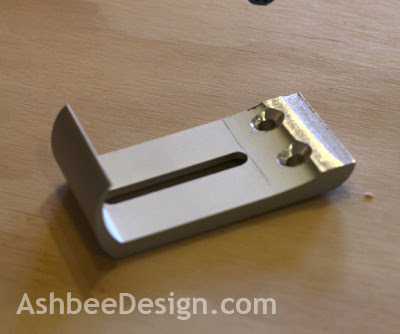 The brackets are made of aluminum and very easy to cut and drill into. I then attached the rail to the bracket and mounted them to the bottom side of the counter. This held the IKEA Kvartal triple rail in place much closer to the counter underside. From that I used the regular IKEA panel system to create three short panels. Beause you buy the mounting rails separate from the panels I purchased 3 sets of panel brackets and one long panel. 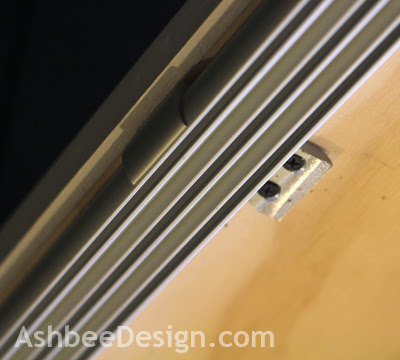 I cut the panel into three short lengths and attached the mounting rails following the regular directions. The system allows you to arrange them so that when you pull the first one out, it hooks the second and pulls it out as well. IKEA has a long pole to hook on the first one to pull. That works for wall panels but not for our application. Instead, I bought a standard key ring and inserted that in the hole to pull the panels shut. Works like a charm! 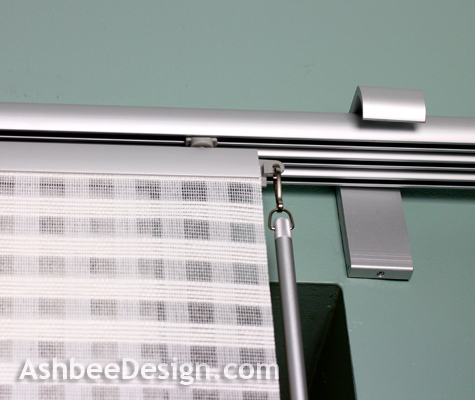 It is an attractive, flexible and inexpensive solution to covering areas below counters. We used it in our laundry but I can see other possibilities for other areas as well. How about under a desk or in a mud room? Tomorrow I'll continue with more of the interesting features in my new laundry room. Thanks so much for the IKea ideas. We have a walk-in closet with no door. This would be perfect! And I haven't mentioned that the panels come in some very attractive designs. I had a hard time choosing. absolutely gorgeous, what great ideas! Thanks for the idea - I can think of a million uses for this in my house. Saw this on the Happy Hour linkup, I always love an ikea hack! Smart idea! Thanks all for stopping by and commenting. Two months later the sliding panels continue to work beautifully and allow me flexible access to the space. 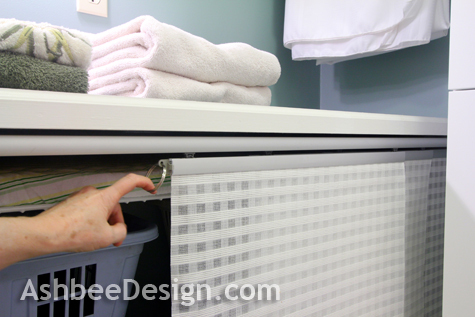 It is a much better solution than my original though of sliding carts - although I do find I open the panel and slide the laundry basket and storage bin out under my dryer as I empty it. I then fold clothes right from the basket. This routine might change once I finally switch the swing of the dryer door. It swings open away from the folding table - still on my to do list! Hi Marji! 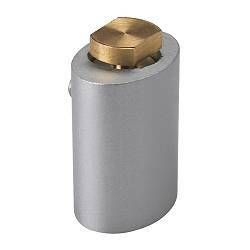 Are you still using the Kvartal system? If so, how is it holding up? Yes, I am. It has been in use for about 4 years and still looking good. Thank you!! 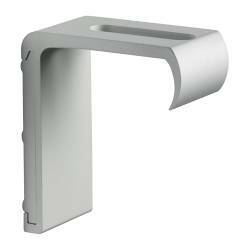 Have you had any issues with the hacked wall brackets loosening? Anything you would do differently? The hacked wall brackets have stayed solid. No problems there. I forgot to mention though - when using more than 2 panels (I used 3) the system has these little tabs so when you close curtain 1, it hooks curtain 2 and pulls that along, which then tools curtain 3. Those little tabs did break off ( my 6 yo grandson might have had something to do with that). But the curtains work fine anyhow and I don't really miss them.